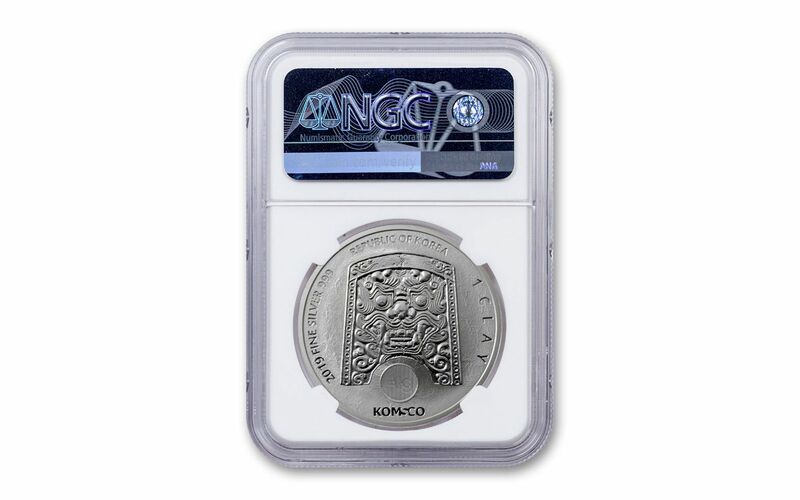 The One-Ounce Silver Ghost Scrofa Medals in this offer have been graded by the Numismatic Guaranty Corporation (NGC) as being in flawless Mint State-70 (MS70) condition a distinction that means each perfectly-graded medal will have ZERO imperfections – showing all features and fields exactly as the engraver and mint intended. In addition, NGC has graded these Silver Scrofa Medals to be First Releases (FR) pieces, a designation that means each medal was received by NGC or an NGC-approved depository within the first 30 days of its release. They will come sonically sealed in acrylic holders with exclusive South Korea-themed labels. Just 10,000 of the magnificent silver beauties have been authorized for worldwide release. Coin collectors, lunar zodiac aficionados and silver stackers alike will all be battling for these coins. Now you can go to the front of the line and secure your 2019 ZI-SIN One-Ounce Silver Ghost Scrofa Medal today simply by clicking one to your cart today! GRADED IN PERFECT UNCIRCULATED CONDITION – Your 2019 South Korea ZI:SIN Ghost Scrofa One-Ounce Silver Medal has been graded by the Numismatic Guaranty Corporation (NGC) as being in flawless Mint State-70 (MS70) condition. KEY FIRST RELEASES CERTIFICATION – NGC has graded your One-Ounce Silver Ghost Scrofa Medal to be a First Releases (FR) piece. 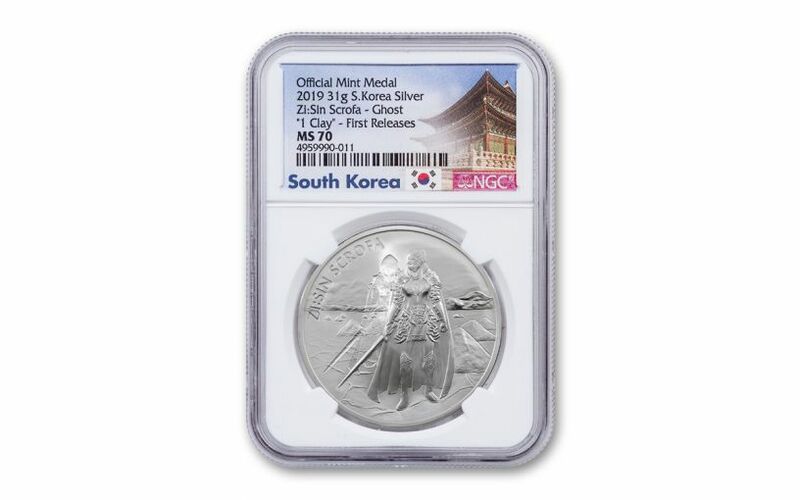 It will come sonically sealed in an acrylic holder with an exclusive South Korea-themed label.